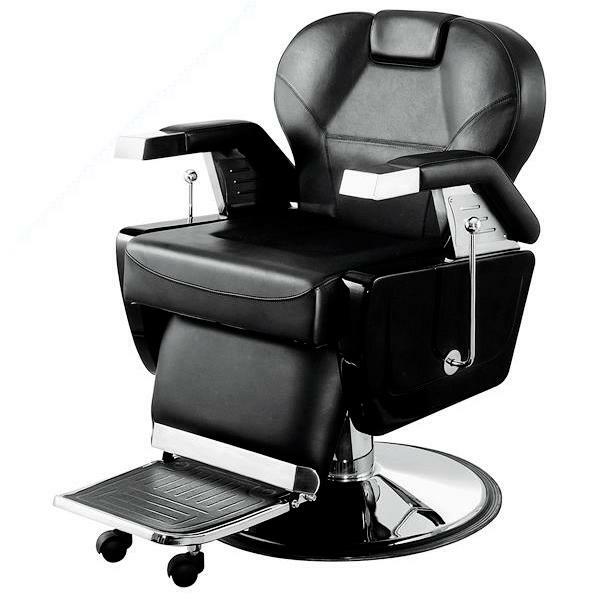 Pibbs Grande Barber Chair is a spacious, plush, heavy duty and durable black reclining chair. 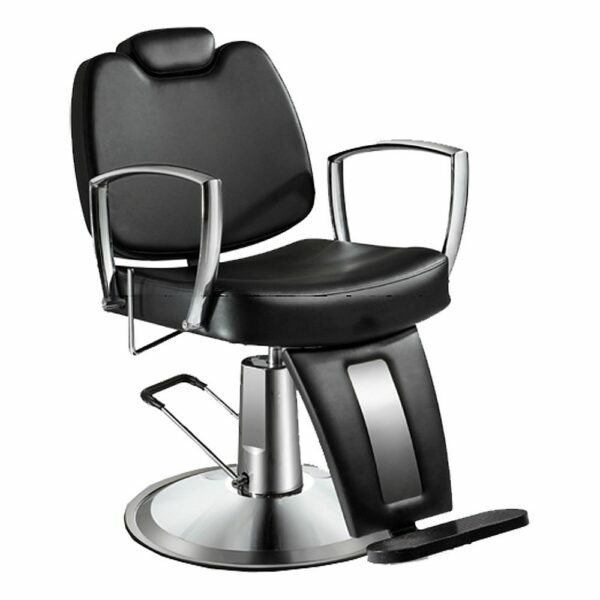 Take special note of the extra wide 22″ dimensions between the arms, unlike our competitors whose chairs span a total of 19″. 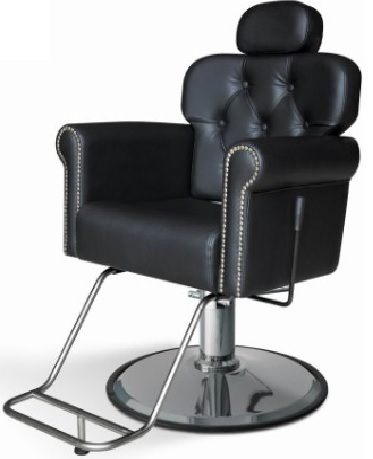 This solidly-built classic chair is comfortable and roomy and seats anyone perfectly. 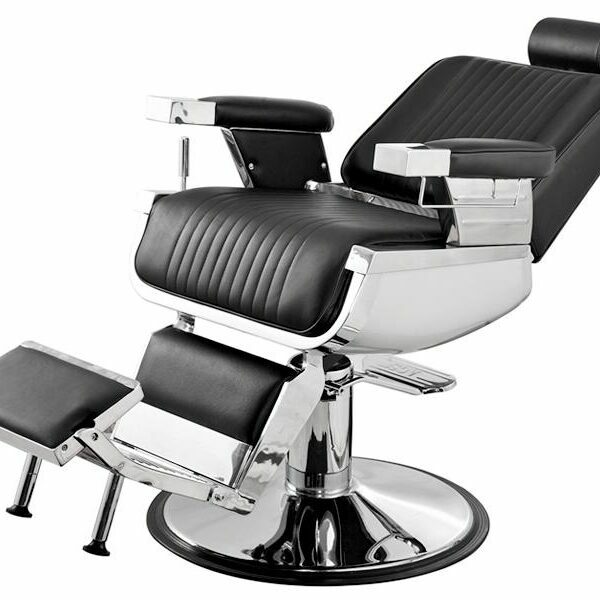 This barber chair is truly a classic and popular with traditional barbers. 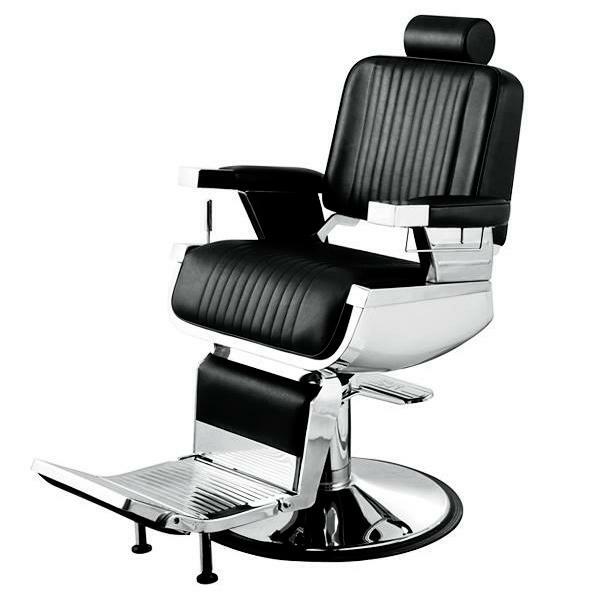 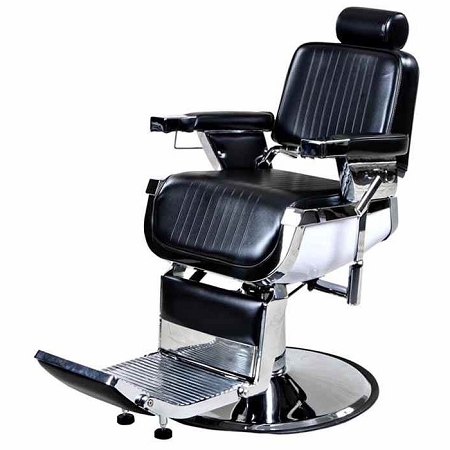 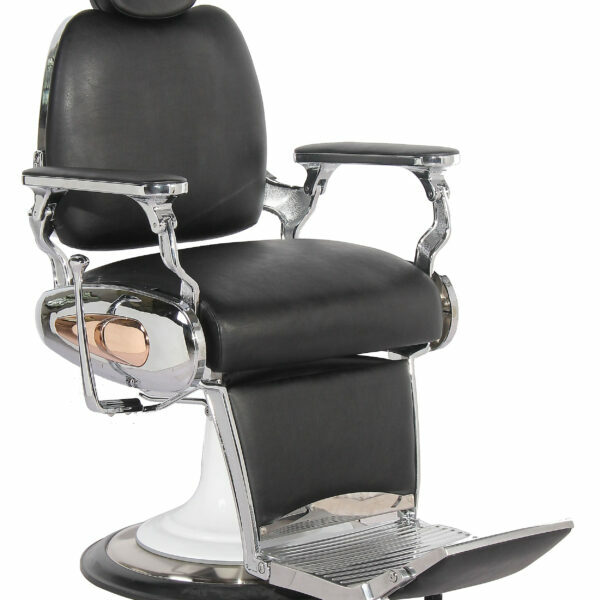 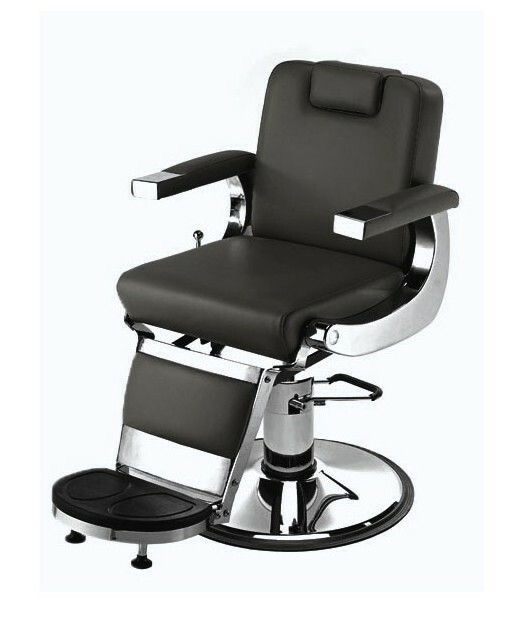 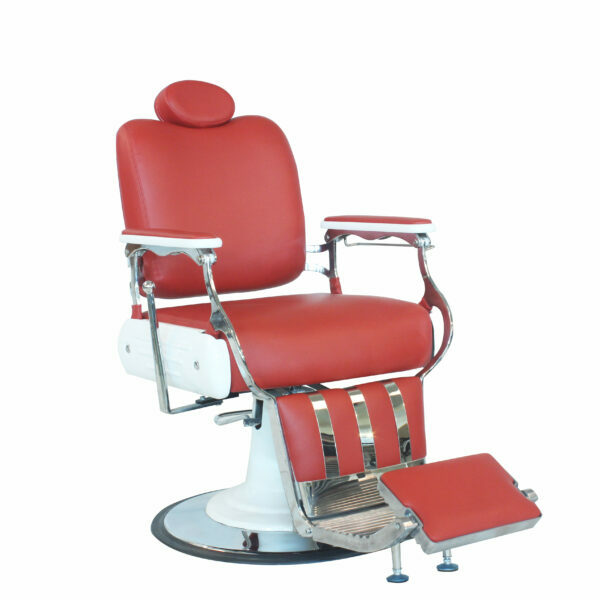 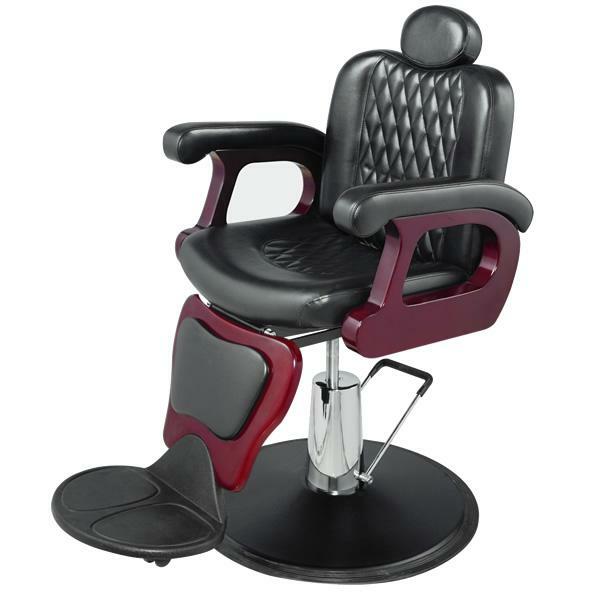 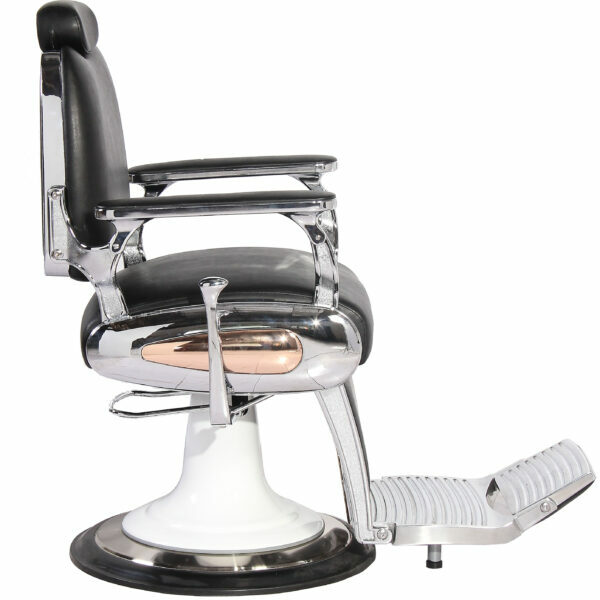 The reclining barber chair features sturdy construction, round chrome base, heavy duty round hydraulic pump and an adjustable/removable headrest. 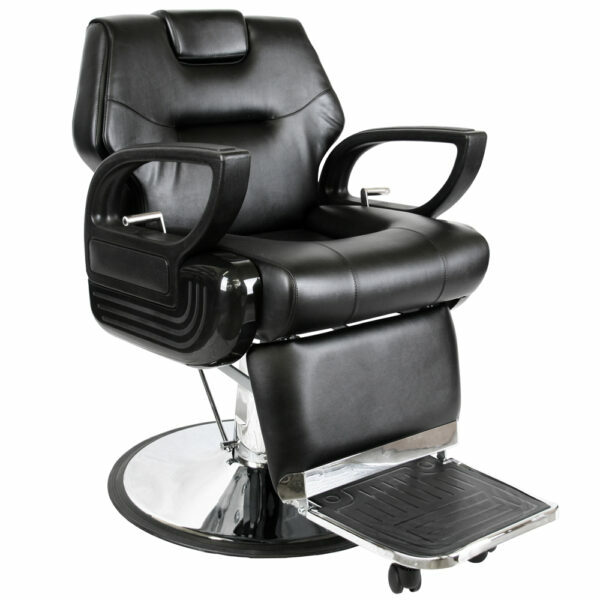 The footrest rises as chair is reclined, and the reclining lever on the right hand of the chair allows the chair to recline up to 45 degrees.